55% of Internet users do not differentiate between paid results and natural results. However, the one who puts together an effective PPC campaign sees it well, the difference: he immediately sees flowing on his site a qualified traffic. As a reminder, a PPC (Pay Per Click) campaign is billed at cost per click. You show ads and pay only if a visitor clicks on them. 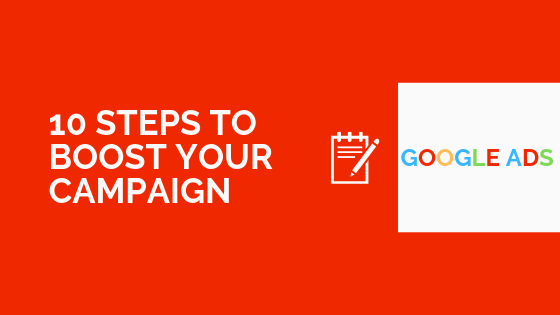 By organizing your campaign with Google Ads‎, the Google ad network, you'll be able to make text, image, or video ads. They will appear on Google result pages and on its network of sites and related apps. But why do PPC when you're already doing SEO? Both complement each other! The benefits of the PPC are immediate and can increase its notoriety, but stop with the campaign while those of SEO are longer to set up, but more sustainable. We obtain more results by combining them than by considering them as distinct alternatives. For me, we have to think about using both levers. It will always depend on the theme, the competition, the CPC ... but while the natural results back, we must make live his site and the SEA is still a good lever for that. Indeed, once keywords are positioned through SEO, we can re-evaluate SEA campaigns to save money and invest elsewhere. Moreover, it is better to reevaluate his campaigns regularly, because the conversion is not always there (but it is not always a bad targeting, it is perhaps the site which is of bad quality). After, I have a good question that I ask myself, whether it is started for 10 days or 10 years: what requires the most effort on the short / medium / long term to reach my goals ? SEO and SEA are, for me, intimately linked. Indeed, we very often wanted to separate them, thinking that there was a so-called "paid" referencing and referencing said "free". Big mistake ! The most common point between these two disciplines is obviously the key word. A semantic study for SEO will benefit the SEA and vice versa. And by knowing the Google Ads‎ data of certain keywords, we will be able to select the most relevant for SEO. With the advent of the dominant premium positions on the visibility of natural results, one could think that the SEA is in complete opposition with SEO optimization work. But I personally think that the two corroborate very well, they complement each other perfectly if we master them perfectly. SEA and SEO are like two equilinators face to face. If one falls, the other too, but if everything is well balanced, then everything will be stable and effective! To be visible today, you have to invest not only in SEO, but also in other levers like social networks and Google Ads‎ campaigns. This allows you to be more visible on Google, regularly bring visitors to your site and have a constant turnover. So how do you maximize the effects of your PPC campaign? By setting it correctly, you will be able to increase its impact. In this article, I present 10 steps that will help you make a difference. First by focusing on the right goal. Attract a maximum of people? Well no. Because if you attract 10,000 people on your e-commerce site but they all leave without doing anything and you forget directly, you have invested for nothing. A successful campaign is a campaign that attracts people to your home for the right reasons. Do you want to promote a new product? Encourage people to sign up for your newsletter? Sell ​​a specific product? Set a clear goal to which you can attach a conversion rate. Adapt the landing page to your goals: a visitor who clicked to discover your latest t-shirt in organic bamboo fiber and found on your contact page is likely to leave. Optimize this landing page to bring to conversion. Its quality will influence the Quality Score that Google assigns to your ads, and on which depends, among other things, the publication of your ads and their cost per click. Conduct an audit of your landing page to verify that it is healthy, does not contain dead links, and so on. (I use SEMrush Site Audit). That's it, you're starting on a good foundation. Now, let's go to the settings at to choose. We do not say it enough, properly targeting your audience is one of the most powerful levers of your campaign: without it, no qualified traffic. Targeted localization. Do you know that you sell better in a specific region? On the contrary, do you wish to make yourself known elsewhere? Be smart in your geographical choices. Targeted language. Match the languages ​​to the target countries, without forgetting to translate your ads. Period. The timing of your ads counts more than you think. Avoid being outside the time slots your presence is important on (for a local business such as emergency troubleshooting) if you have one. Use the data from your previous campaigns to offset slack periods. Finally, consider raising bids on periods with high conversion rates. One of the major PPC trends in 2017 is audience targeting. Popularized by Facebook, it has largely democratized (Linkedin has finally got started). Similar audiences are now available on the search, this opens new perspectives. In 2017, you need to have the most efficient tracking system possible. Conversion paths are longer and more people are using more and more devices. You need to know your audience to get out of this "last click" vision and manage their different acquisition channels according to their position in the funnel. In parallel, platforms should progressively improve to measure off-line conversions. Define your total and daily budget by trying to anticipate all risks and benefits. It must last in time (excluding flash campaigns) and allow you to reach the right people. Adapt your budget to days and devices, according to the habits of your users: bet more where you think you have the best conversion rate. Think also return on investment: we can not bet without considering the ratio of costs to earnings, which depends on what you will earn in case of conversion. We will not make the same bids for a used car that will earn 10,000 euros and polka dots at 5 euros. Finally, to prevent your competitors from plummeting your budget (if they click on your paid ads), apply IP exclusions. related keywords, less specific (to target a large number of visitors with broad requests). In the Google Ads‎ planning tool, you'll need to choose from several options: broad match, broad match change, exact match, and exact match. Think of all the possible scenarios to make the right choices. Also create groups with one keyword. By giving their own ad group to your best keywords, you'll be able to create very specific ads, associated with an ultra-optimized title, call-to-action and landing page. It's normal for keywords in your ads to cross each other. To avoid competition between your own ads, that is, to prevent your ads from being cannibalized, consider adding the negative keywords in the appropriate ad group. Negative keywords also help you avoid "disappointing" your visitors and paying for nothing. For example, if you sell handbags, but you do not have a leather model, you can exclude "leather handbag". To make your job easier, use SEMrush PPC Keyword Tool. This tool allows you to create groups of keywords for your ad campaigns and identify negative keywords in each ad group. Prepare a relevant and complete description for your ad. Make sure your call-to-action is clear and powerful. Fill in the extensions (delivery times, schedules, etc.) when relevant, rich ads tend to reassure and increase the click rate. Insert numbers, they catch the eye of the net surfers. Add promotional offers, and their duration: by creating the sense of opportunity associated with the sense of urgency, you increase the chances of clicking. Use keywords again so that the user who scans the page automatically identifies you as relevant. Repeat the operation: no question of limiting yourself to a single announcement, it is imperative to create several to refine his campaign based on the results of each along the water. They will allow you to bid on your ad. Set bids for your ads, based on your primary goals, the competition, the quality of your keywords, and your bid. Do not try at all costs to bet on the first place if you notice an "overbid" on it. It is better then to bet on the following places by mastering its maximum bid and avoid the scrum. Finally, note that if your effectiveness depends on the bid you offer, it also depends on your Quality Score. Overall, the higher your Quality Score, the lower your CPC will be. Improving the Quality Score is one way to make your campaign more profitable. If you want to test multiple ads, select similar groups and rotate to make sure you have enough data for each. You have to see the launch of the campaign as the real beginning of your mission. Once it is live, you will be able to accumulate data and use them to refine the shot. An Google Ads‎ campaign that works is most often a campaign that is optimized! You are ready to multiply the effectiveness of your campaign! We will finish on a question that comes back and divides. Does a PPC campaign have an influence on the natural positioning? I think so, but indirectly. If Google does not officially favor those who bought it from big Google Ads‎ campaigns in natural results, having a PPC campaign can logically have a positive impact on its SEO. What's your opinion ? Share your ideas in the comments! How to Make Money in 2019? 58 Tips and 89 Sites.